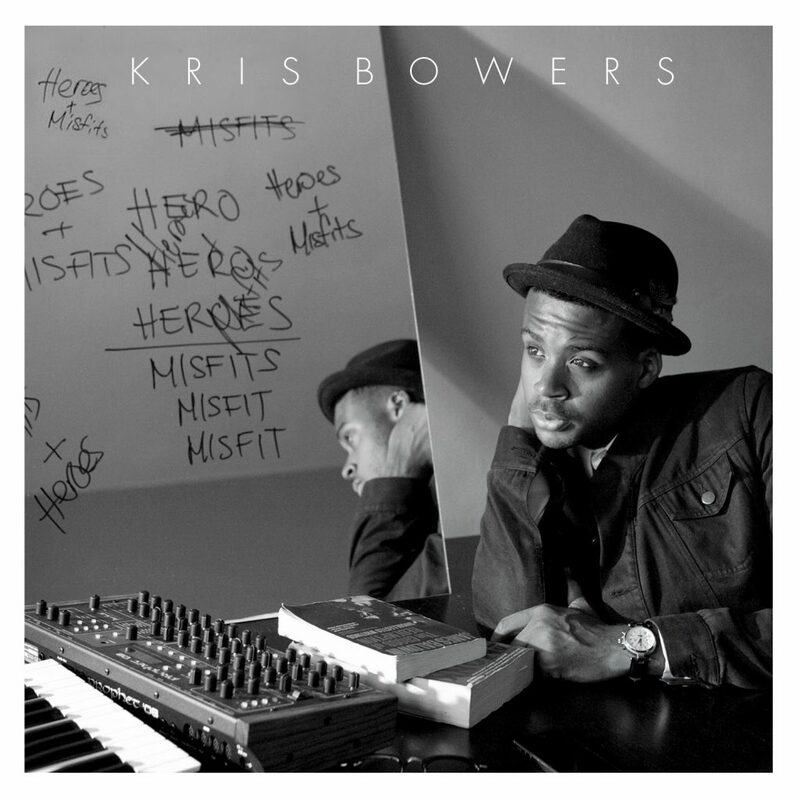 Pianist Kris Bowers is one of the newest and brightest lights on the jazz landscape. 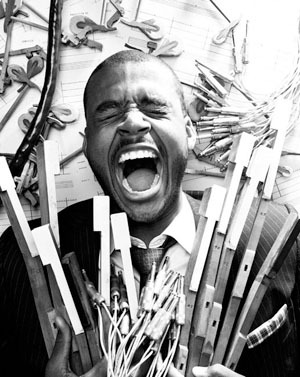 Schooled in jazz and classical music, raised amid the rap and hip-hop of the 1990s, inspired by the cinematic power of the great film composers of recent decades, Bowers’ sound – though rooted in traditional styles – is open to numerous external influences that keep the music fresh and vibrant for a new century. This rich and eclectic sensibility is evident from the very first notes of Heroes + Misfits, his debut recording on Concord Jazz. 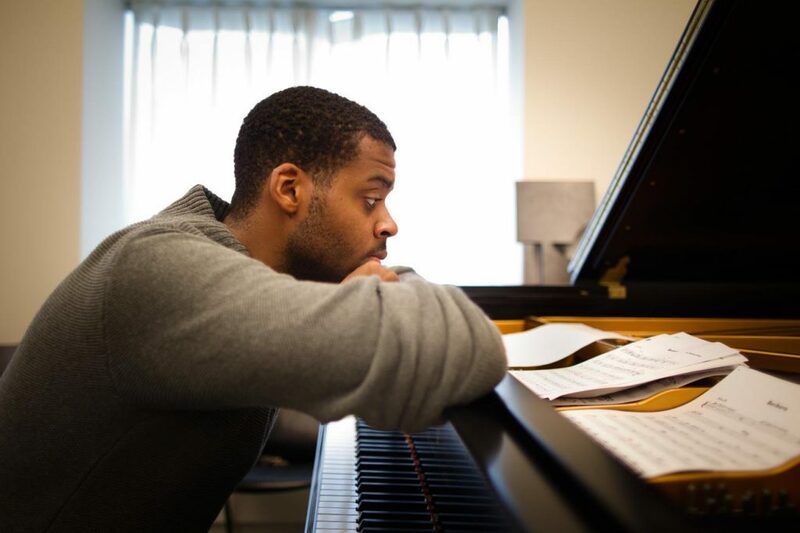 Recently, an iRockJazz interviewer spoke with Kris Bowers about how he translates the current cultural landscape into music. iRJ: How would you describe belonging to the new generation of Jazz artists? KB: It definitely excites me. I’m always incredibly happy to see what happens when each of us puts out new music, or does something interesting. As far as describing us, I think what we’re doing is kind of like what any generation of artists does. We’re incorporating a lot of our personal experiences and our personal relationships into the music we love. Then, we apply that to Jazz. I think that because we all have such diverse and wide scopes of interest when it comes to music and genres, that’s what’s being reflected in what we do. If you look at somebody like Jon Batiste, you hear his music and you obviously know he is from New Orleans. You can tell what types of music that he is into. I feel that way about many of the leaders of this generation. iRJ: When you say that you are creating music about your experiences, is it your experiences with music or your experiences in life? KB: I think [that it’s] a bit of both. Again, if you look at Jon Batiste, a lot of his approach to music and what music is supposed to do, I think reflects his experiences in life. I think [you] can say the same about my own music and myself. I think many of the concepts or meanings behind the songs or the feelings that we’re trying to express, a lot of it has to do with our life experiences beyond music like [our] outlook on life. iRJ: It seems many of the current generations of Jazz musicians are not turning their backs on tradition, but are taking a little bit from it and making it into something new. How does that sit with older musicians who are more interested in The American Songbook and Jazz standards? KB: I think that in any changing of the guard, or whatever you want to call it, you’ll have naysayers from past generations. But, it’s also really interesting to point out individuals that don’t feel that way. Or, I’ll meet some older people that might not even be musicians. I have grown close to Billie Allen Henderson, the wife of Luther Henderson. Billie and I, talk a lot about my music and my career. She’s come to my concerts and Jose James’s concerts. I don’t want to guess her age because I’m not sure how old she is, but she’s definitely of a previous generation. She’s all about the direction we’re going with the music. I think the same thing applies to back in the day when Coleman Hawkins, one of the older jazz legends during that time, was championing the younger bebop artists. I feel like you’ll still have some people that will say what you’re doing is not cool, but some people that are all about it. Jason Moran is always telling me that I need to push the envelope and write something that people from past generations might not enjoy as much because it takes them out of their comfort zone and that alone should not deter me from what I’m trying to do. I feel like it has to happen in order to make music progress. But I also think both sides are necessary. You need someone who is maintaining the tradition. At the same time, you need someone who is trying to push things forward. iRJ: Your new album is called Heroes + Misfits. How did you come up with the name? KB: The album is a commentary on my generation and the potential that we have to be this incredibly great generation. The title actually comes from two parts. Heroes, comes from this generational theory, the Strauss-Howe Generational Theory. They talk about these different archetypes of generations based on the economic climate and the way that the world is when each generation is born or growing up or transitioning to adulthood. The way those things play out, dictates which archetype that generation falls into. What they found is that it has a cycle. There are four archetypes to that cycle. The millennial generation is the hero generation, and the last hero generation was actually the G.I. generation. I found that really interesting because right around the time, I was starting to notice this shift. When Time Magazine named the protestor the person of the year, and you had things like the Arab Spring and Occupy Wall street, I felt these were factors that made my generation seem no longer complacent. I also felt this made my generation more likely to feel the need to speak up for things or against things. That’s when I found out that there was this theory that considered us to be the hero generation. The name Misfits comes from the fact that more than ever, people are championing the idea of being unique individuals and not conforming to the status quo. So, Misfits is not a negative thing. A lot of people see Heroes + Misfits and think it’s this versus that or these two opposites, but they’re actually the same thing. Many times the heroes are the misfits so it’s one in the same. iRJ: How did that concept translate musically? KB: Basically, all the songs have that in their stories in some sort of way. There’s a song that’s called “#TheProtestor,” with a hashtag in front of it. It’s a song I wrote when Time Magazine made their person of the year the protestor. I added the hashtag because I feel like one of the ways that we’re protesting is online. You have things like Arab Spring that kind of started via Facebook. Or, you have things like I don’t think George Zimmerman would have been tried if people didn’t freak out about the Trayvon Martin shooting online. I feel like we have this power via the internet to dictate what’s important and demand attention be called to certain issues. There’s a song called “Vices and Virtues,” that’s about the idea that what’s right for one might not necessarily be right for another. One man’s virtue might be another man’s vice. Each title and each story behind the songs has something that ties into this larger concept. Musically, I tried to match that with whatever energy or feeling that the song had.